Gravure printing is a very old process, the principles of which started in China around 100 AD. For the next 1400 years gravure progressed very slowly and all images were produced by hand using an engraving tool. Then, in the 16th century chemical etching was invented whereby the image could be scratched into a resistant coating on the metal surface of the plate and then engraved using an acid. This was a major step forward for the gravure process and high quality printing in general. By 1838 the principles of photography had been fully tested and proven and this gave a great challenge to the printing industry to find ways to reproduce these direct images of the real world in a fast and accurate manner. Flexographic printing is made by creating a positive mirrored master of the required image as a 3D relief in a rubber or polymer material. 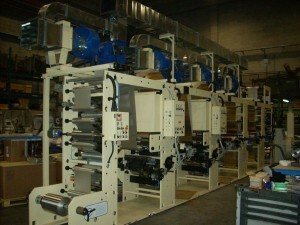 Flexographic plates can be created with analogue and digital plate making processes. The image areas are raised above the non image areas on the rubber or polymer plate. The ink is transferred from the ink roll which is partially immersed in the ink tank. Then it transfers to the anilox roller (or metering roller) whose texture holds a specific amount of ink because it is covered with thousands of small wells or cups that enable it to meter ink to the printing plate in a uniform thickness evenly and quickly (the number of cells per linear inch can vary according to the type of print job and the quality required). To avoid getting a final product with a blurred look, it must be ensured that the correct amount of ink is applied on the printing plate. This is achieved by using a metal scraper, called a doctor blade. The doctor blade removes excess ink from the anilox roller before inking the printing plate. The substrate is finally nipped between the plate and the impression cylinder to transfer the image. The substrate is then transported through the drying system usually hot air, which allows the inks to dry before moving on to the next application. Label printing it is within this area that flexo printing has seen most growth in the past few years, with over 90% of new machine installations in the European arena believed to be flexo printing machines. Also, improvements in print quality which can be seen by using UV inks have contributed to this growth. 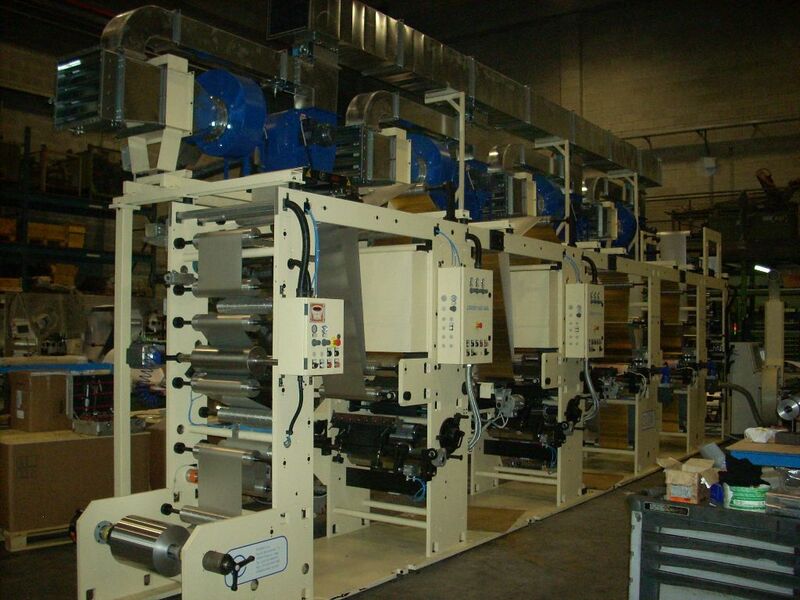 Many of these machines are being used to print narrow web flexible packaging which will ultimately be converted into sachets or be used for shrink sleeves.